A truly iconic style, adidas Originals’ Kegler Super has garnered somewhat of a cult status since first touching down in 1980. Back then, the silhouette was designed for athletes playing Keglen (a German style of nine-pin bowling), and its innovative peg system proved popular among bowlers at the time. This nifty technology allowed the user to manually switch out pegs from under the heel so that the user could adjust the cushioning levels to his or her’s needs. What’s more, the Kegler also featured a reinforced toe cap for when bowlers dragged their toes across the surface. Exclusive to size?, the Kegler Super makes yet another comeback. Launching on Black Friday, the silhouette arrives with an in-tune aesthetic, decorated in a dark and moody colourway. 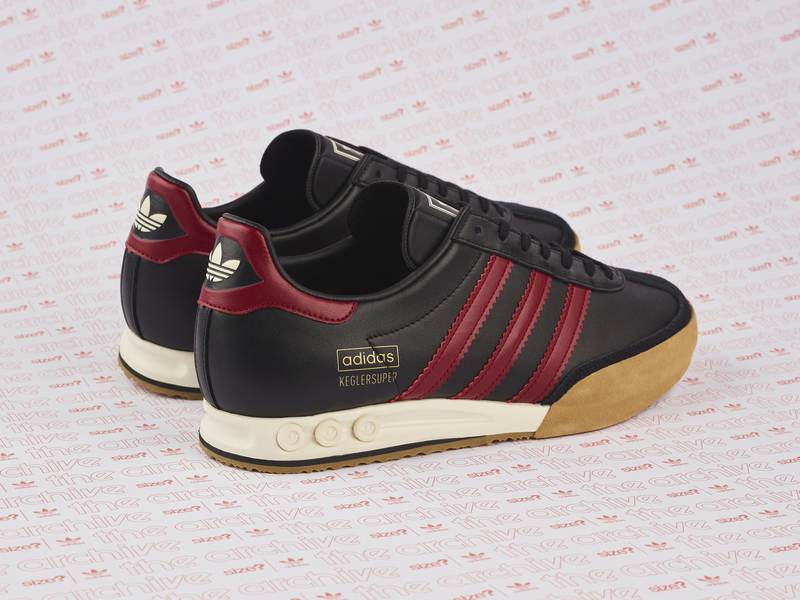 Shades of black and burgundy dress the shoe’s premium leather uppers, and classic Trefoil and three-stripe branding features to the pull tab and sidewalls respectively. Premium suede covers the T-toe and mudguard surround. The timeless release remains mostly unchanged in its set-up, with the same reinforced toe cap and cushioning peg system underfoot. 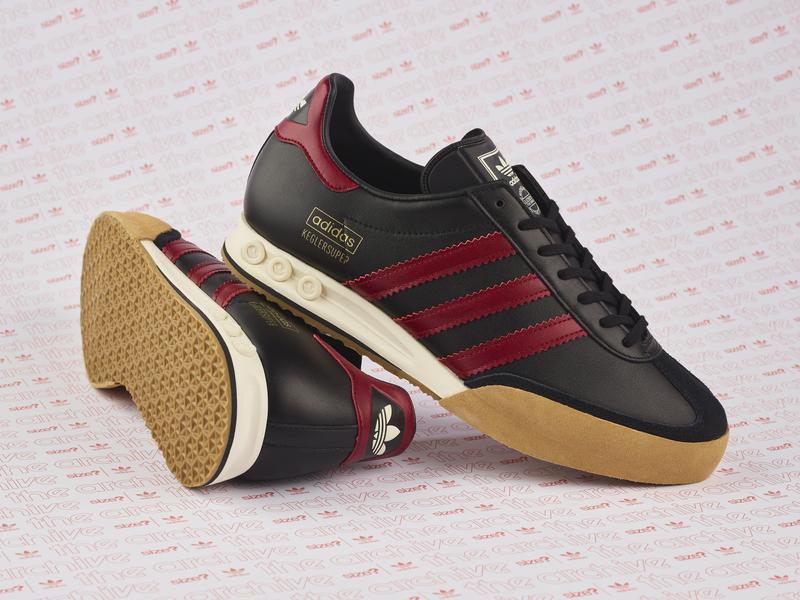 The only slight difference we’ve made is to the sides, where the usual gold ‘Kegler Super’ lettering which runs up the three-stripes has been swapped for a slightly more minimal moniker nearer to the heel. Signing things off, a classic two-tone hexagonal outsole is positioned underfoot for tailored traction to the surface. The size? 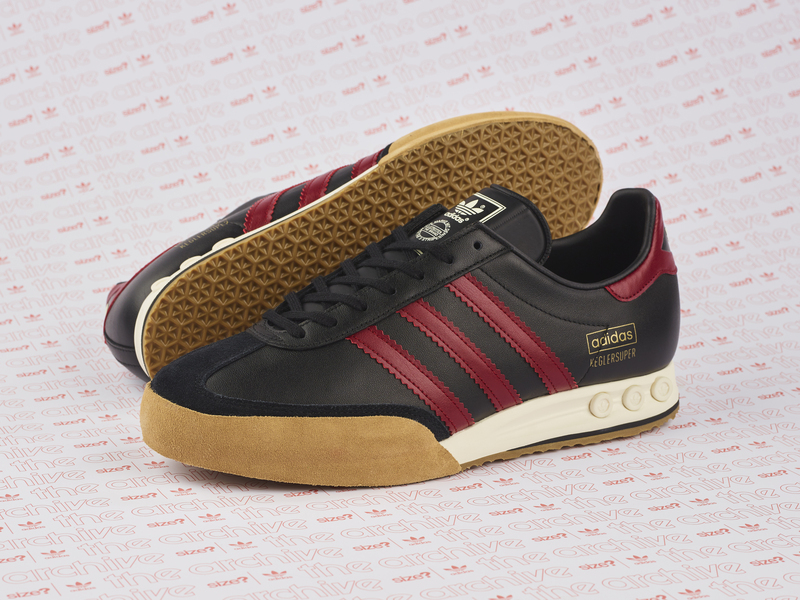 Exclusive adidas Originals Kegler Super ‘Black/Burgundy’ will be available via the size? previews app and in all size? stores on Friday 23rd November, priced at £85.